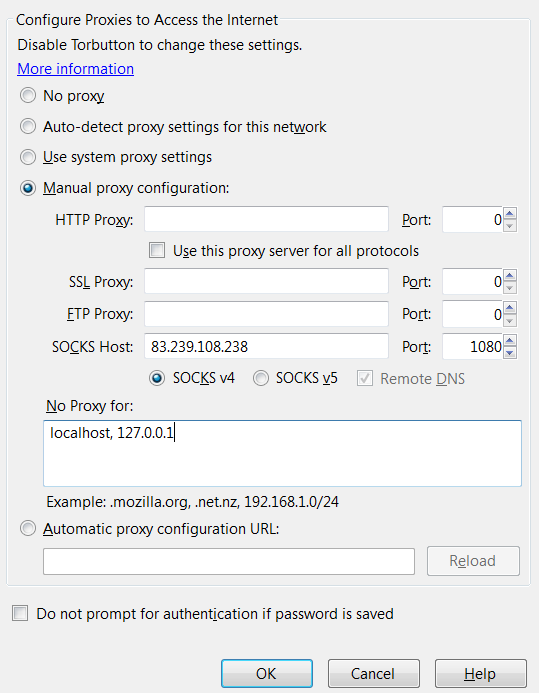 My proxy setting does not work in Tor. I have no idea why. The same settings work in Firefox.